This photograph was taken by my Grandfather Jack Baker on the 26 April 1930. It is of the airship Graf Zeppelin departing from Cardington. 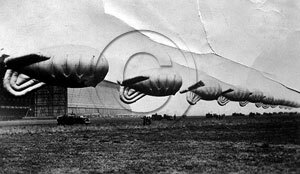 This picture show a row of Balloons outside one of the hangers at Cardington. It may have been taken during WWII, again by my Grandfather. 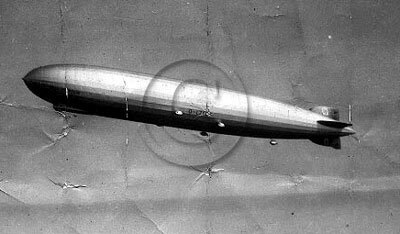 Airship Heritage Trust - Information on airships and Cardington. See movie's section for a short video clip of the Graf Zeppelin leaving Cardington on the same mission pictured above.